If you’re half-hearted about something, just don’t do it. As cliché as it might sound, you really do need to love what you do. Okay, maybe not everyone needs to love their work, but I do. Working at a startup like Pure Chat is too hard, too ambiguous and too unpredictable to not love what I do. If you’re part of an entrepreneurial endeavor that you don’t care about, just stop. It won’t work. If you don’t care you’ll take shortcuts. You’d be motivated by just revenue, not people. Your product or service will start to suffer as a result. Or, you’ll just do a mediocre job of creating a product and marketing it. Customers won’t get value and eventually they will leave. In my experience, to build a great product you need to care deeply about the folks who use your product. You can’t do rewarding work if you don’t care about your customers. I was reminded of this the other day after reading a quote by the incomparable Gary Vaynerchuk. Small business is a thread throughout my life. The jobs I’ve loved the most in my career have been either working in or serving small business. My very first “real” job in high school was for a local cabinet maker. After that, I spent a few summers working for a shoe boutique. Even later in my career, I joined a startup that serves small physical therapy practices. Small business has been a consistent thread throughout my career. Can’t seem to help it! I love the hard-working people, the community and the deeply personal nature of small business. Entrepreneurs are driven by more than money. Successful small business owners are driven by their passion to create something meaningful. They are builders, makers, creators, innovators–you name it! The primary reason they launched their business is to “live the life [they] want to live” and “do the work [they] love.” Sure, revenue and profits enable growth and security, but more often than not, money isn’t the top priority. The State of Small Business Growth report found that 39% of small business owners are motivated to grow their business to have more freedom. They want freedom with their time, freedom with their choices and with their work. The top priorities for most small business owners are creating something valuable, designing a flexible lifestyle that makes room for family, and living by their own rules. Small business isn’t just a political talking point. Entrepreneurs are the economic backbone of America, and the data proves it. Small businesses entered 2016 in growth mode. Forbes reported that “businesses with less than $5 million in annual revenue experienced, on average, 7.8% annual sales growth during 2015.” That’s good news because there are a lot of them! 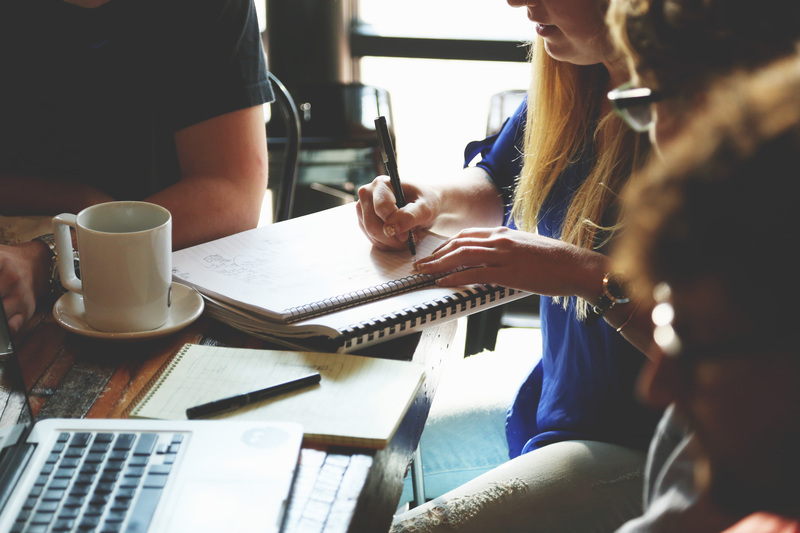 There are over 28 million small businesses in the US that drive 63% of net new private sector jobs according to the U.S. Small Business Administration. And it seems that the growth will continue. The 2016 Small Business Marketing Trends report by LeadPages and Infusionsoft found that 4 out of 5 small business owners plan to use digital marketing to drive sales and brand awareness this year. This means that small businesses are better positioned than ever to reach the 81% of consumers and 89% of B2B researchers looking online for products and services. Slick politicians can say whatever they want. More shoppers and B2B buyers spending money with millions of small businesses is a good thing for the economy. That revenue (and the subsequent economic boost) is hard-earned by the businesses that make it happen. If we can help small business owners fuel even more growth in some small way, I’ll be a happy camper. Small businesses make our communities special. What would your neighborhood be without the local restaurants, bars, boutiques and coffee shops? They give us a sense of local pride. They become part of our identity, our tastes and traditions. Got a promotion at work? Or have a family reunion coming up? You’ll probably visit a favorite restaurant. Want to find a special gift for a friend? You likely have a beloved local product to share that’s unique to your community. Building a business is hard. It’s taxing mentally, emotionally, physically and socially. There are so many unknowns and time is scarce. 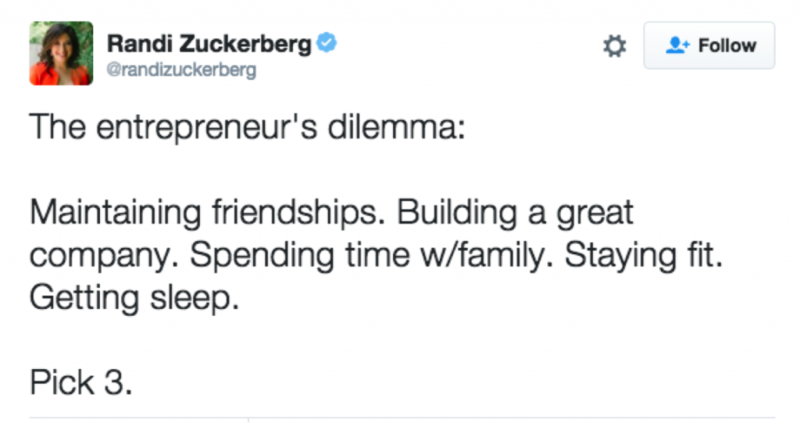 Randi Zuckerberg defined the entrepreneurial dilemma in a tweet a few years ago. Something’s gotta give. I have so much respect for the sacrifices made by small business owners. Many of the customers I talk to are making all sorts of sacrifices, but they do it because of the drive for passion and freedom. Their persistence is unfathomable and part of why small businesses are so special. I don’t believe there’s such a thing as work-life balance. You just make choices. Entrepreneurs are defined by their choices, the consequences and the stories they can tell as a result. If you watched Super Bowl 50, you may have seen the commercial for Death Wish Coffee. Thanks to Intuit Quickbooks, this tiny 12-person team of coffee aficionados from upstate New York won a Super Bowl commercial. Death Wish Coffee makes the strongest coffee in the world. When we learned about their Super Bowl commercial (Death Wish is one of our customers) we were thrilled! I encourage you to watch the video of their founder, Mike finding out they won the Grand Prize. I got goosebumps. It’s impressive and heart-warming that such a small team, doing something they love can hit the big time. Oh, and we’ve had their coffee. It really is super strong (which is good because we’re always hard at work)! I enjoy being a small business customer. I always try to shop small. Why? Because the best small businesses focus on quality and customers. In fact, 60% of small business owners love customer service (compared to other daily activities) probably because they know how important it is to keep customers happy! I have what my husband likes to call a “citrus-candle-problem”. I’m always on the hunt for the best quality citrus-scented candles. Thanks to Instagram I found my new favorite–Standard Wax. Their marketing is eye-catching, their website is lovely and their soy candle containers are reusable after the candle has melted away. Plus, they’re local — I’m hooked! These companies are crazy and cool. Every day at Pure Chat we learn about the new small businesses that sign up to use our live chat software on their websites. After years of serving small business, I sometimes think I’ve seen it all. And, quite regularly, I’m proven wrong. One of the reasons I love small business is because they are so unique. I just can’t believe the businesses some entrepreneurs create! It’s amazing. One of our favorite customers is The Bear & The Rat. They make ice cream for dogs. Yes! You read that correctly. Frozen treats for dogs. I don’t even have a dog and I love this business. Not to mention that owners Matt and Meg are such nice people. Another unique customer of ours is Rent the Chicken. You can rent chickens and coops, then try your hand at raising them in your backyard. I knew you could rent homes or cars, but chickens? Wow. Small businesses do good while doing well. Not only are small businesses creating new jobs and driving economic growth in this country, they also give back to their communities. Small businesses buy the Girl Scout cookies and Boy Scout popcorn. Their small teams run food drives and sponsor scholarships. According to the State of Small Business report, 22% of small business owners were motivated to grow their business in order to make an impact in their community. There are so many ways that small businesses give back—even with small teams and small budgets. 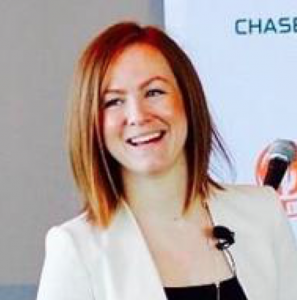 Madalyn Sklar, a Twitter marketing expert, not only shares her knowledge with the small business community with weekly Twitter chats, but she also mentors young women in the music industry. One of my favorite product people, Justin Jackson, regularly shared his expertise on his podcast, currently gives free content to his dedicated subscribers and has built a community around makers and product minds. I want to spend my life doing something meaningful. My parents taught me the importance of standing up for the little guy. If you’re in a place to have a voice, use it to help others. One of my favorite quotes is from the running legend, Steve Prefontaine who said, “To give anything less than your best is to sacrifice the gift.” I’m so fortunate to have been given many gifts in my life. Mentors, friends, family and employers who have all helped me grow and learn. In return, I want to do the same for others. I don’t want to sacrifice the gift, but instead use my talents and experiences for something meaningful. Serving small business customers is hard work. Just because they are small, doesn’t mean that small businesses are simple. Creating valuable software for small business is hard. Small businesses have ever-evolving, diverse needs across a myriad of industries. That’s the fun and that’s the challenge. It’s the work I choose to do because I believe it matters. I believe that small businesses are important to our lives and our communities. I believe that helping small businesses is a meaningful endeavor because we all benefit from more small business growth. If life is short, I want to make something that matters to people. And small business owners are my people. If you’ve read this far, I hope you, too, have a special place in your heart for small business. If you love small business, I hope you’ll spend your money with them, give your advice, share with your friends and celebrate the small businesses in your community. So tell me, why do you love small business? There are certainly many facets to this topic, and you’ve covered many of them nicely in this post. For me, the one that deeply resonates are the emails you receive when you’ve delighted a customer. Those moments provide confirmation that what we are doing truly matters, and motivation to deliver an equally impressive experience to the next round of customers. Thanks to Pure Chat for your role in the process! I found your post via BizSugar. I love small business and the entrepreneurial spirit, due to the fact that it is based on the trader principle. I don’t agree with the notion that you have to sacrifice something, in a philosophical sense. It is a matter of priorities and achieving your values at a certain period of your life.